Today it is time for the second issue of Davy Jone’s Locker – best in miniature wargaming. Like in the previous issue I will try to bring you a variety of useful stuff for our hobby. Today we have plot points for Pulp Alley, an index for the Bolt Action rulebook, a fantastic gaming table and an AAR in a Lost World scenario. So, have fun reading the second issue of Davy Jone’s Locker – best in miniature wargaming. Like many of you, I love Pulp Alley. The game has some nice mechanics. But even more important is a thrilling story. In Pulp Alley the story is told by plot points. So you will need lots of them. But sometimes it is hard coming up with good ideas for them. To help us gamers, Colgar6 has published three blog posts with ideas for plot points. So, happy plotting. 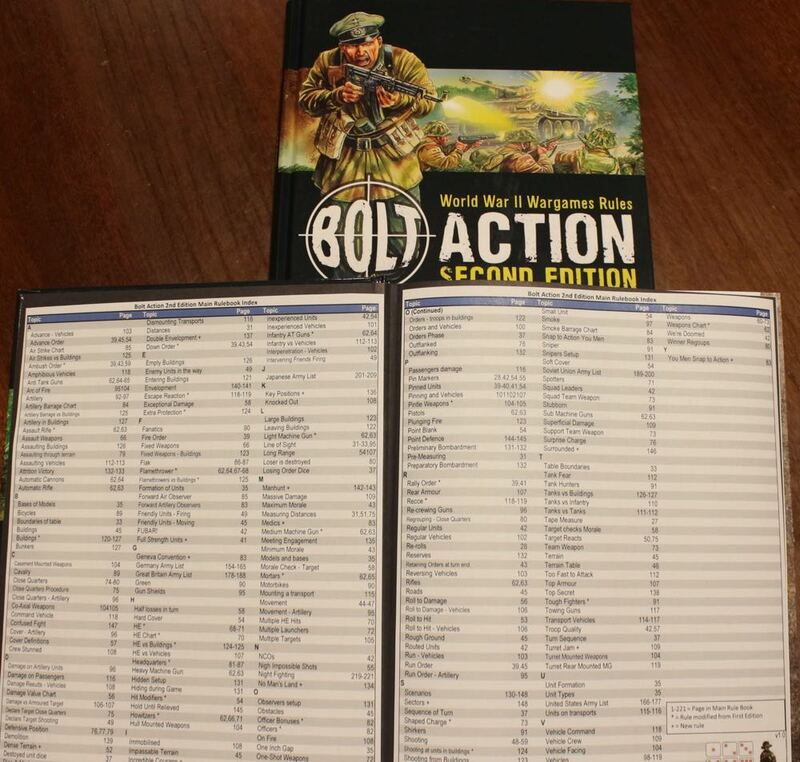 I like the second edition of Bolt Action. But unfortunately, the rules lack an index. Personally, I use the digital rules (the .pdf), so if something needs clarification I use the search function. But if you have the printed rules, searching the whole book for a specific rule can be pretty uncomfortable. So, the DemoGamers made an index by themselves. Nice work guys, I guess this can become handy for many gamers. 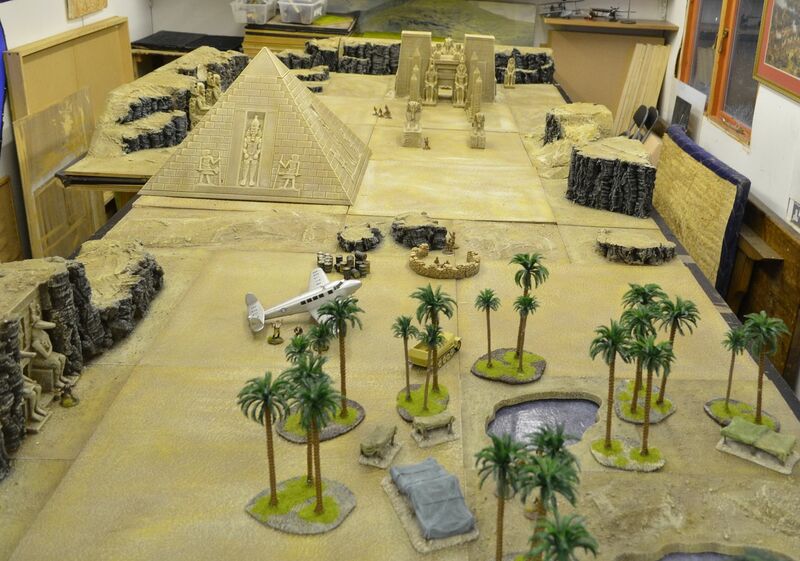 Eric has built a fantastic gaming table for pulp adventures in Egypt. It contains everything you would expect for a pulpish scenario. A Tempel, monuments, a pyramid and an oasis. Pretty much the stuff I need for Ryder Nash to smash some Nazis. I really like the table! My last pick is an AAR. 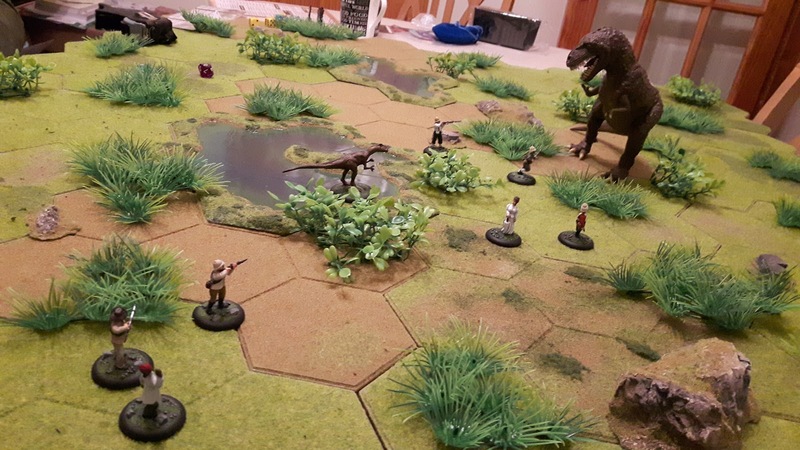 The action contains big game hunters and dinosaurs. Yes, dinosaurs. Sound cool eh? Well, look at the table. It looks lovely. The used hexon grid system is interesting too. That’s it for this issue. I hope you like the picks. If you have questions or suggestions for future issues just leave a comment. Highly appreciate it.